It’s a well-known fact that reducing your alcohol intake will likely make you feel and look better. But meeting friends and colleagues for a few drinks after work is worth it. Or is it? Alcohol affects every organ in the body. And the bad news – things only get worse as we age. “With aging, we all experience increased challenges with memory, concentration, illness and infection. Excessive consumption of alcohol only exacerbates these conditions,” asserts Dr. Adam Rubinstein, an internal medicine and addiction medicine physician at Advocate Condell Medical Center in Libertyville, Ill.
Halting the consumption of alcohol is an option – but if you wish to continue enjoying your favorite craft beer or pinot noir, moderation, or harm reduction, could be an alternative. Everyone knows alcohol is filled with empty calories and packs on the pounds. A standard martini has nearly 300 calories – moderate drinking of even one a day packs on about 2,000 calories in a single week. Opting for choices with half the calories such as wine or beer might be the ticket to taking some weight off. After a night out, many people opt for a greasy meal. The alcohol in your body burns off first, so those carbs and fats will have to wait their turn. Drinking less alcohol may very likely mean less fast food. One too many drinks can result in a heavy sleep—to begin with. You may jolt awake due to increased heart rate after only a few hours and then be unable to fall back asleep. According to the National Sleep Foundation, excessive alcohol impacts quality of rest by disrupting deeper REM sleep and affecting your ability to think clearly, focus and process information the next day or longer. 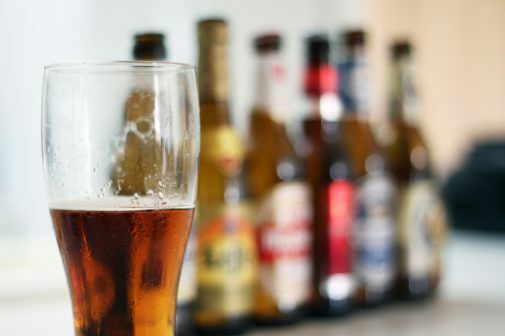 Binge drinking distorts neuron activity in the hippocampus, the area of the brain vital to the formation and storage of new memories. Without memories, you cannot learn and process information. After two to three months of reduced alcohol intake, you may experience increased work quality, ability to concentrate and overall performance. Your liver can regenerate damaged tissue and shed excess fat with dramatic overall improvements to the body. Ceasing or significantly reducing alcohol consumption may provide improvement in as little as two months, as long as your liver has not been affected by excessive drinking already. Alcohol dehydrates. As it affects your body, so does it affect the largest organ of the body—skin. “Women have more water content in their bodies than men to begin with. Unfortunately, this means that the dehydrating nature of alcohol affects them more dramatically,” says Dr. Rubinstein. While the body is working hard to process alcohol, it cannot absorb important vitamins such A, B and C, key for sloughing off dead skin cells and reducing the appearance of fine lines, redness and wrinkles. Lower your intake of drinks, and your complexion will thank you by being fuller, fresher, healthier and more youthful. Making better choices when it comes to alcohol doesn’t mean you can’t enjoy occasional drinks with workmates and friends. Consuming in moderation can be a solution to improve your mind, body, spirit, relationships and wallet over time.